Well, spring breakers, the jig is up. That empty sunscreen tube you packed so you could take Smirnoff Raspberry to the beach in Destin isn’t going to get past the eagle eyes of Florida’s Okaloosa County sheriff’s deputies. The sheriff’s office, whose county includes Destin, Santa Rosa Island, and Fort Walton Beach, published a Facebook post earlier this week letting all those ruffians know that the authorities are hip to their little booze-in-sunscreen-bottle trick, which has been around since time immemorial. Back in my the day, though, I people had to rinse out the sunscreen container before filling it with illicit booze, which had the effect of making Malibu rum taste even more like sunscreen than it already does. Impressive! Now, college kids who want to sneak booze onto beaches can buy containers specifically for that purpose on Amazon. What a time. 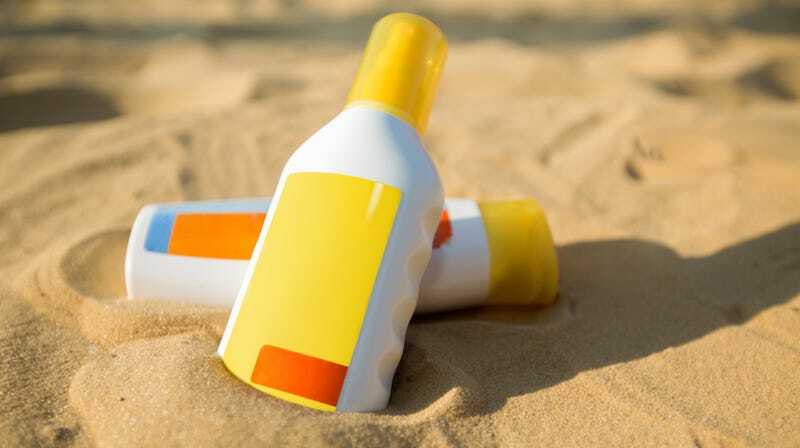 Officers note that chugging liquid directly from a sunscreen bottle raises suspicion—obviously. I can’t remember the last time I took a swig of Banana Boat, and neither can most reasonable humans. Kids, spring break is fun enough without the covert booze. There are plenty of frozen-daiquiri-fueled, accidental naps that result in terrible sunburns ahead once you turn 21.